All classes must be booked in advance: private lessons requiring £10 deposit and courses must be paid in full. We ask for conformation of your place on successive courses by paying on week 4 of your current course. Courses are not to be paid on a week-by-week basis. Courses may be paid at £10 per lesson ONCE in a 12 month period (Jan-Dec). All inclusive packages are only paid via standing order and not sporadic payment. Your first payment can be made over the desk all subsequent payments are via standing order only. If you are using your loyalty card to book a practice and you fail to turn up or cancel with less than 24 hours your free class will be allocated as used and may not be redeemed against any other class. A standing order is set up by the client and the client is in control of when it leaves their bank. The company will not be responsible for any over payments that the client has failed to cancel and refunds will not be given unless in exceptional circumstances at the managers discretion. A £10 deposit is required for all private lessons. This is not refundable should you fail attend, but may be transferred to another booking if more than 24 hours notice is given. If you choose to cancel your course, taster, party or private class 7 days or more prior to the start date we will refund the full amount minus any deposits. If you cancel with less than 7 days before the start of your course, you will get 50% of the full amount back. If you cancel within 24 hours, you will not receive any refund. If you transfer your course, taster, party or private class to a different date you will loose the right to a refund and we will only transfer you once. Any persons unable to complete their course due to illness or injury must inform us before the course ends and a sick note/ doctors note is required as proof of inability to attend. Refunds or credit notes will only be given in exceptional circumstances at the manager’s discretion. Courses will only run if we have a minimum of 5 people on. If this is a new course we reserve the right to move the start date within a 4 week period from the original start date, after this period you have the right to a full refund or moving to another date. For established courses; if your course runs down you will be offered an alternative class or we may bring other courses into your class. We will endeavour to only put clients of the same standard or stage of learning together to make the classes run as smoothly as possible. Due to circumstances beyond our control we reserve the right to change the start time, date or teacher of your course, lesson, taster or party. You will be notified if this happens and a pro-rata refund will be given if we cannot meet your needs. All clients are required to read the health commitment statement and are requested to inform the instructor of any changes in their circumstances. Lessons do require a certain level of fitness so if you are in doubt to your suitability to the join the classes, please speak with your GP before signing up and paying. We will not allocate refunds if you have not taken appropriate advice first. You may receive a credit note which you can use towards other suitable classes or transfer it to some one else. Pole dancing does carry some risk of serious injury which you must be aware of. We will endeavor to reduce the risk by teaching a progressive program and not asking you to perform moves beyond your ability and control. If you are uncomfortable or wish not to perform a move please make your request know to the instructor who will offer you an alternative. You are requested not to perform any moves that haven’t been taught to you by a pole 4 fitness instructor and during your class we request that you follow the plan of the teacher and only perform moves that you have been asked to practice. When in practice session please only practice moves off your lesson plan that you have been taught in class. The session is for practicing moves not learning new ones unless you have missed a lesson and the instructor is catching you up from the lesson you have missed. Practice sessions are only available to current, paying members of the club. We ask that you do not ‘spot’ or ‘coach’ each other in class. Our insurance will not cover you for any injures sustained in this manor. We will not tolerate behaviour which is deemed inappropriate or offensive. We reserve the right to ask any persons to leave the class with the right to cancel any future lessons and not refund any monies. Admittance to the class must be on time. Any persons arriving after the warm up will not be permitted to join the class. An alternative time or class will be offered in this case. All clients are requested to sign in at reception before their class starts to compile with fire regulations. This is not an option and any persons regularly breaking this rule will be asked to leave the club. This was registered in March 2009 and accepted in May 2009. 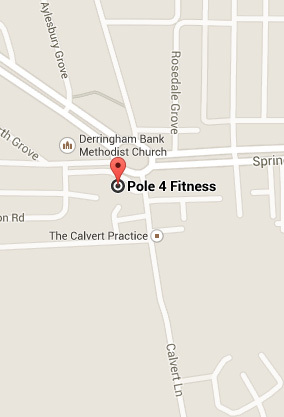 Pole 4 Fitness uses a database system that is only stored in house. We collect information which will enable us to contact you if we need to change lesson so we take a full postal address, land line and mobile. We ask for an up to date working email as our database system will email receipts from payments made if requested by the client. Post codes are used in our marketing analysis to see where customers are located in relation to our club. We do not keep any personal information such as religion, family members or occupation. We may ask to keep on record health problems, injuries, disabilities or medication that you take if we believe it is in your interest to keep other members of staff aware of your problems. We do not keep on record any credit or debit card numbers and do not hold personal information on your banking facilities. We never share your information with any other 3rd parties. We outsource our emailing list to companies like Mail chimp, who deliver our emails to you. We upload your email address and it is not accessible by anyone else but us. There is an option to unsubscribe as a link on the email and you can unsubscribe at any time. Once you have unsubscribe we cannot send you anymore emails, if you do receive something from us it is likely that you’re on more than one list for example enquiry and members. Please note you may need to unsubscribe from both list to stop all correspondence from us.